Too small to see with a light microscope and too intricate and scarce to image using traditional X-ray-based methods, molecules of this nature are finally being mapped out at the atomic level thanks to next-generation cryo-electron microscopy (cryo-EM). As reported in the journal eLife, a team of scientists from the Department of Energy's Lawrence Berkeley National Laboratory (Berkeley Lab) and UC Berkeley used an advanced cryo-EM facility to construct the first complete atomic blueprint of an intriguing, multi-part machine called human transcription initiation factor IIH, or TFIIH. "When we solve these complex structures, we not only improve our understanding of how they work, but we critically update the way we think about them and are able to pose new questions and design future experiments," said Basil Greber, a researcher in Berkeley Lab's Molecular Biophysics and Integrative Bioimaging (MBIB) Division, a postdoctoral fellow at UC Berkeley, and first author on the study. "Seeing which regions of the assembly, sometimes at the single amino acid level, are involved in different aspects of its function allows us to generate testable hypotheses about what happens to the molecules when something goes wrong, such as in the case of illness-causing mutations." 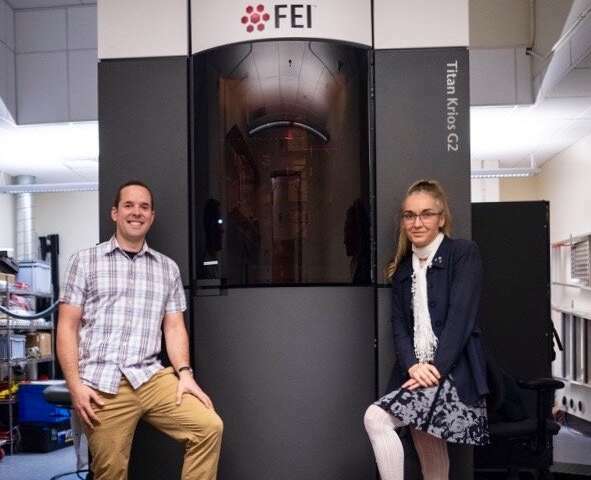 "Our detailed description of the human TFIIH structure now allows us to start to understand the functional consequences of these mutations," said Nogales, a researcher in MBIB and head of the Bay Area Cryo-EM Facility (BACEM). "Getting here was a technical tour de force, as the assembly is very hard to purify from cells, it is hard to handle, and is highly flexible. This is the type of challenge my lab thrives on!" Ever since the first 3D atomic map of a molecule was generated 29 years ago, cryo-EM technology has been a revolutionary tool for the fields of structural biology and biochemistry. Scientists based at Berkeley Lab contributed significantly to each stage of cryo-EM's development, from helping establish the necessary early fundamentals of the technology in the 1970s, to enabling previously unprecedented resolution with the creation and subsequent commercial introduction of direct electron "counting" cameras in 2004. The BACEM microscope is equipped with the latest version of a detector camera.